That time of the year is upon Philadelphia. The Broad Street Run will be here soon! And we are here for you if you signed up for the race and need some help on where to start. 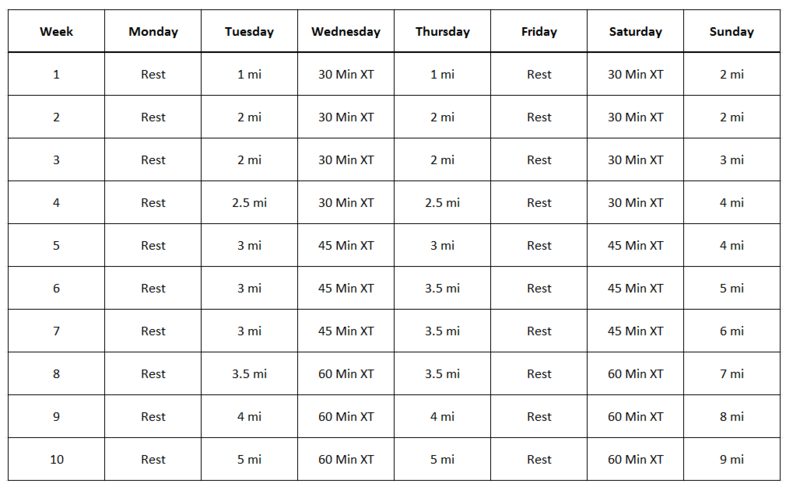 Whether you run 10K’s regularly or have never run a 5K before, this 10 week training plan below will get you ready for the 10 miler. In 10 weeks you will be crossing that finish line along with 40,000+ runners! 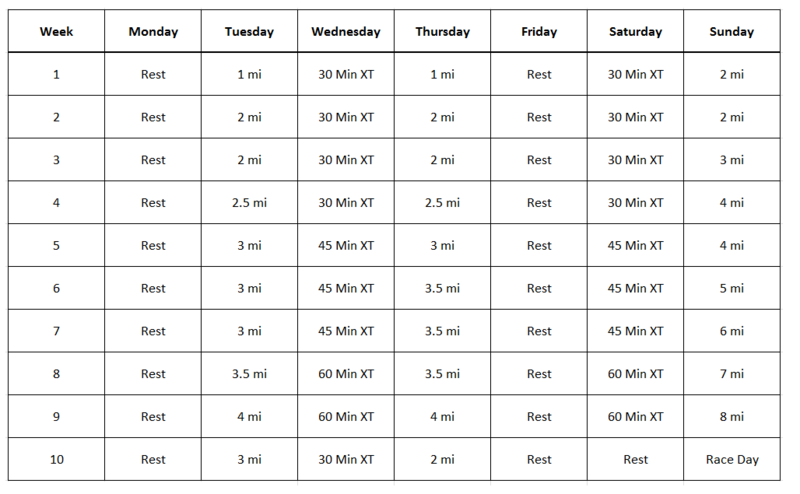 For those needing clarification “XT” on the plan means cross training. This means 30, 45 or 60 minutes of another workout. This could be riding a bike, an elliptical machine, weight lifting or anything else that gets you moving. The folks at Runners World wrote this article on some of the best Cross Training workouts. So if you are not sure where to start, here you go! The point is to prepare your body for being able to keep up physically during the run. February 13, 2017 in Uncategorized.